Whether your child starts boarding school in the fall or the spring, it can be daunting to enter a whole new environment. Brillantmont gets a number of new students every January, and although many of the students have been there for a number of months already, the newcomers never have trouble integrating into our school family. As the spring term approaches, we bring you some tips on settling in at a new boarding school. Find out what makes this transition easier. Both boarding and day students get assigned to a house when they start out at Brillantmont. Student leaders and advisors nurture each unique house community that is made up of students of different ages and nationalities. When a new student joins a house, the whole community makes an effort to welcome them in. By being open to housemates and connecting with activities, your child will immediately begin to integrate into the school at large. Learn more about our houses here. Students who have been at the boarding school for a while have experience of the same transition your child is going through. Encourage your child to listen to the advice and encouragement of others. Because of the small size of Brillantmont, interaction of students between grade levels is common and older students often mentor and encourage their younger peers. Many schools, including Brillantmont, also have programmes of support for new students. 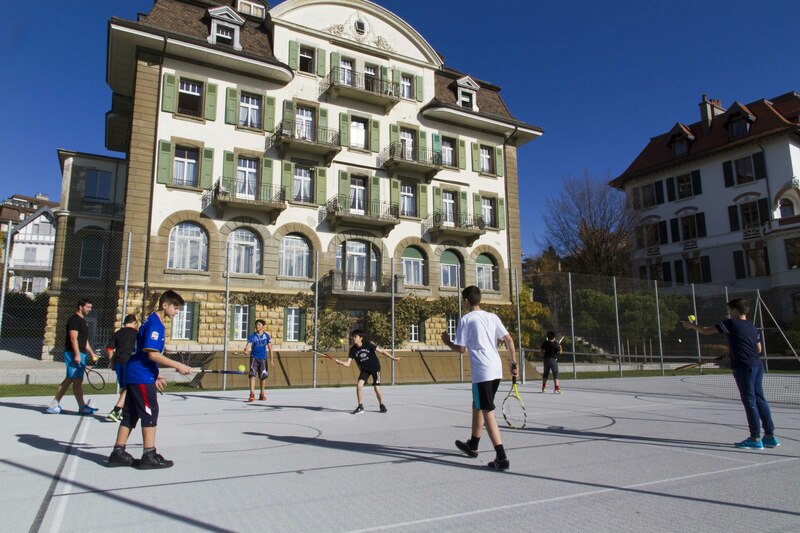 At Brillantmont this means that incoming children are paired with other students, often of similar origin, who take them on and help guide them in their first few months of boarding school life. Staff and teachers are always on hand for the children's care and support, but sometimes a kind word or helping hand from another young person is what makes all the difference in this time of transition and adjustment. It is also essential not to stick to the same people all the time. Close-knit friend groups often develop very quickly at a boarding school, which can be wonderful for students, but encourage your child to also branch out and meet new children that might be a bit different from them. When kids first enter a new environment they often gravitate to what is familiar, such as other students from their country, but it is often the skills learned to connect with difference that ultimately enrich their time at boarding school the most. Brillantmont has an incredible range of extra-curricular activities to offer. This includes excursions on the weekends, fieldtrips to incredible sights in Switzerland and Europe at large, and other activities that are physical, creative or community-service based. When your child is first settling in at boarding school, encourage them to sign up for these activities and explore new skills. This will help them connect with more people at the school and feel engaged quickly. To find out more about our boarding programme, click here.